We are very lucky to have a new teacher joining the shop this year. ‘Ana Mallah’ will be starting fortnightly classes on Tuesday mornings from 22nd January. 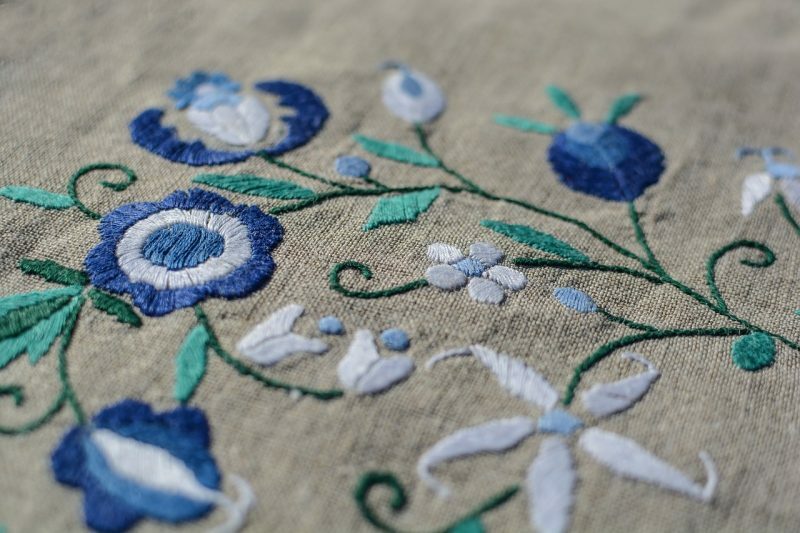 Ana’s beautiful original designs have appeared in Inspirations Magazine and the new A Passion for Needlework’ book recently released by Inspirations. Anas kits will be a welcome addition to our range of kits available in store. Tulip Needles from Japan will be appearing on our shelves in the coming week. These needles are among the finest in the world. Beautifully packaged in reusable glass vials these needles are a delight to stitch with. There are some lovely kits from Jenny Adin – Christie all the way from U.K. These kits are so beautifully prepared and packaged that opening each tiny parcel is like a present! A lovely gift and a very special purchase for those looking for a bit of a challenge. The new Shepherds Bush Christmas stocking “Lois” is now available. Lois is a welcome addition to the Christmas stocking family. This lovely Angel is accompanied by a snowman , Christmas tree and a few new colours from Weeks Dye Works. New cross stitch pouches are now in stock from ‘Le Bonheur des Dames.’ These popular premade zipped linen pouches are a lovely little project all ready to be used once the cross stitch is complete! There is only one pair of Divine hand crafted steel scissors left in stock from the amazing French artisan Jean Marie Roulot. To own a pair of these scissors is a treasure indeed and of course a delight to use. We are continuing the update of our website. You will notice a slow and steady improvement on image content and it is starting to reflect what the shop actually has in its range. Please come and visit soon. This entry was posted in Newsletters and tagged embroidery den, newsletter.